When Oliver Stone made his iconic Wall Street film "Wall Street" in 1987, he was doing so, at least in part, to call out the greed and hubris of the financial world and to castigate the greedy bankers and traders on the Street during the 1980s in hopes, at least in part, that young people (men) would think twice before jumping into careers in finance, or at least think twice before they head down a very dark road once firmly into their Wall Street careers. However, the exact opposite occurred, and an unintended consequence of Stone's film was that young men (and maybe a women or two) loved "Wall Street" so much that, for two decades after the film was released, they did not heed Stone's warning but did the exact opposite: jump headfirst into the "greed is good" game. Since Stone's film, there have been numerous other Wall Street-gone-wrong films. Most notably, in the post-financial crisis years, there have been a few critically acclaimed films ("Margin Call," "Arbitrage," "The Big Short") and a couple of entertaining but ultimately average films (Martin Scorcese's "The Wolf of Wall Street," Stone's sequel "Wall Street: Money Never Sleeps"). And there are more Wall Street-gone-wrong films in the works. "Money Monster," which stars George Clooney and Julia Roberts and is set to be released in May, follows the plight of a Jim Cramer-like character (Jim Cramer of CNBC's "Mad Money" fame) who is taken hostage on live TV and forced to wear a vest of explosives by a young man who lost his shirt in the financial crisis. And "Equity," starring Anna Gunn of "Breaking Bad" fame (Gunn played Walter White's wife, Skyler), is set to premier at this year's Sundance Film Festival and is being billed as the first ever female-centric Wall Street film. Along the way, "Billions," whose creative team includes New York Times financial columnist Andrew Ross Sorkin and the guys behind "Rounders," takes you inside the office of Giamatti's U.S. attorney and inside a fictional hedge fund headquartered in Westport, Connecticut, and run by Lewis's Bobby "Axe" Axelrod. Although Sorkin and company won't admit to it, the premise seems to very closely mirror the Feds' real-life hunt for real-life hedge fund billionaire Steven A. Cohen, whose eponymous firm, SAC Capital, plead guilty to criminal fraud charges in 2014. I'm no TV critic, and so will spare you a lengthy assessment of "Billions"' strong points (acting, plotting, set design) and weak points (dialogue, dialogue, dialogue), but I will say that "Wall Street" or "Margin Call" it is not. However, just like Stone's film did all those years ago, "Billions" has the potential, even as it sheds light on the dark dealings of the hedge fund world, to have a significant influence on the Street, in that it very well may, instead of deterring young people from going to the dark side of the hedge fund industry, inspire them to dive right into it. Which is not to say that the hedge fund industry is inherently crooked but that, like any industry, it has a dark side to it in which participants bend and/or break the rules, as well as a lighter side in which its participants play by the rules. 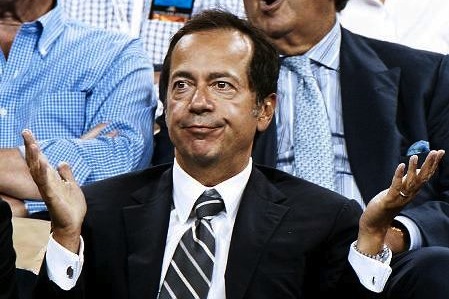 In any case, first of all, there's the fact that Bobby "Axe" Axelrod has a ridiculous amount of money. Axe has "name on the building" money. He has "$85 million dollar East End beach house" money. The show is, after all, called "Billions." 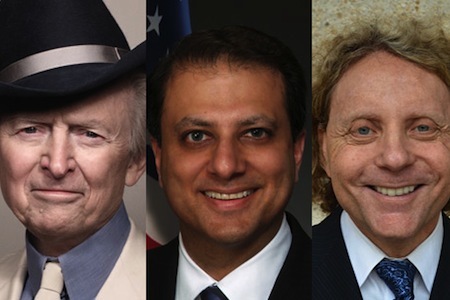 Second, Axe is no silver spoon kid from the Ivy League who has his daddy to thank for where he is today (Giamatti's U.S. attorney has that pedigree). In fact, Axe is a Hofstra grad (no offense, Pride) and was forced as a kid to carry golf clubs around for blue-blooded blue-eyed boys and men in order to earn his allowance. In other words, he came from a modest background (not unlike "Wall Street"'s Bud Fox). Axe is a hardworking, blue collar dude who sweated it out and made his own billions; he didn't inherit them. Which makes him a sort of underdog alpha dog and thus easier to pull for. Third, aside from maybe Giamatti's character (time will tell) Axe is always the smartest guy in the room. He can size up the various chess-like market moves made by his competitors (other hedge fund managers) faster than you can say material inside information. He knows when to short, when to go long. He answers to no one, and the power that his money wields seems to be endless. He also likes to flip a few million to various charities once in while. Perhaps the only thing Axe doesn't have going for him (at least not yet, after the first two episodes) is a "freaky" home life (Giamatti's U.S. attorney Chuck Rhoades has that on Axe). And so, despite the inside trades that Axe condones, and the fact that his actions could earn him, along with billions of dollars, a couple of decades in the slammer (even though, now in real life, insider trading is not really illegal anymore), it's difficult to root against him, or to not want to be like him, especially if you're a young, impressionable person with sights on a Wall Street career. Which, I imagine, was not the intention of Sorkin et al. In late 1987, Frank Partnoy, then a maths student at the University of Kansas, had an epiphany. As he sat in a cinema watching Wall Street, Oliver Stone’s depiction of the corrosive effects of greed on the financial industry, Partnoy decided he wanted to be part of it. I imagine nine zeroes will be able to grab math students' attentions even more tightly. In any case, the FT piece also quotes another banker, now the leader of his own firm, Moelis & Company. Will kids do the same with respect to Bobby Axelrod? Perhaps. But let's hope not. 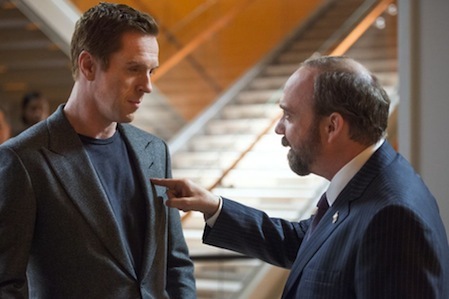 Although it's true that Lewis met several real-life hedge fund managers when doing his research for his character, and the creators of "Billions" were also able to speak with several real-life hedge fund managers while working on their scripts, Axe is more caricature than character. And so should not serve as career inspiration for anyone, young or old. Still, I have to admit that the show is compelling, much like an old Tom and Jerry cartoon is compelling; you have to keep watching to see who destroys whom and with what kind of weapon. And so, I'm very much looking forward to the next $ugary installment this Sunday night.